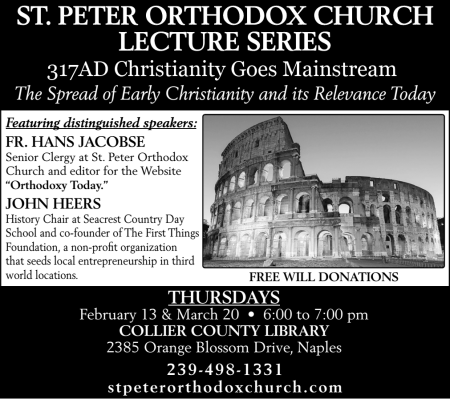 Our St. Peter lecture series continues at the Collier Public Library on Thursday, February 13 starting at 6pm. Invite your friends. We will also hold the lecture following Divine Liturgy this Sunday (February 9) starting at 11:30 for anyone who would like to attend. Do Receive the WORD Magazine? 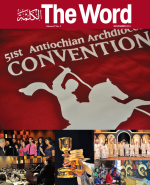 The WORD Magazine is the official publication of the Antiochian Archdiocese and is offered free to all parishioners. Several people have mentioned that they do not receive it. We need to correct that. If you do not receive the magazine, please go to the website and fill in the form. We will pass you information along to the publishers so they can put you on the mailing list. St. Peter’s needs your help! 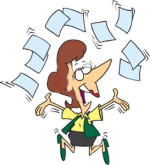 There is some administrative/secretarial work to do to keep St. Peter’s running smoothly. We need someone to help us for the next year. When St. Peter’s started Mary Jarvis took over the laborious job as treasurer and built our bookkeeping from the ground up. She has done a fantastic job and gave many hours to keep our books as clean as a whistle. Now Mary is moving on and Stan Venetis has graciously agreed to take over. We thought it would be a good time to computerize our systems. We have grown to the point where doing the books by hand takes too much time and now is a good time to make the move. A special thank you goes to Bettina Zifiras who researched all the available church management programs and made recommendations to the Parish Council. We picked one and Bettina is putting all our data into the new program. We chose one that works with QuickBooks, the industry standard for managing finances. It’s reliable and will grow as we grow. A special thank you to Mary Jarvis for her good work in getting us where we are! For He hath regarded the humility of His servant. Timothy my son, you have observed my teaching, my conduct, my aim in life, my faith, my patience, my love, my steadfastness, my persecut ions, and my sufferings; and what befell me at Antioch, at Iconium, and at Lystra. What persecu tions I endured; yet from them all, the Lord rescued me. Indeed all who desire to live a godly l ife in Christ Jesus will be persecuted, while evil men and impostors will go on from bad to worse , deceivers and deceived. 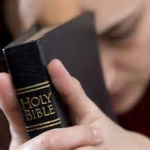 But as for you, continue in what you have learned and have firmly believed, knowing from whom you learned it and how from childhood you have been acquainted wit h the sacred writings which are able to instruct you for salvation through faith in Christ Jesus.